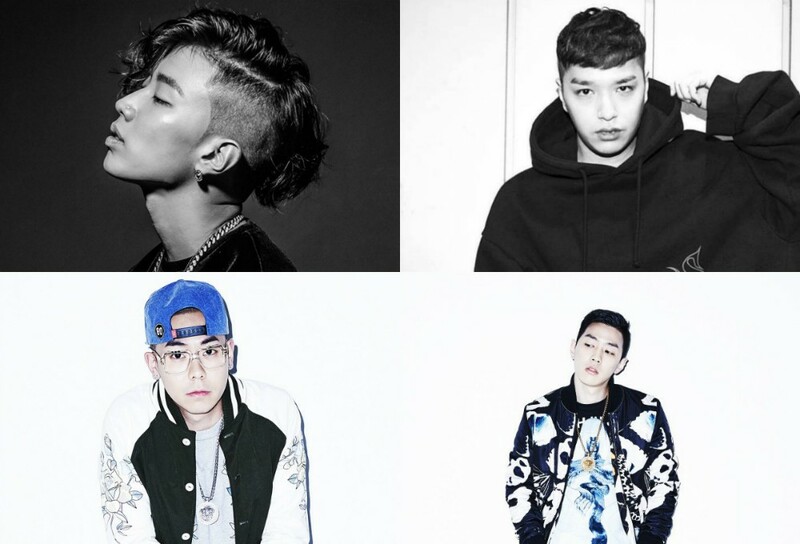 AOMG artists are stirring up something crazy to come! On AOMG's official Instagram page, a photo of Jay Park, Simon D, GRAY, and LOCO�was uploaded with the caption that reads, "Here we got Jay Park, Simon Dominic, Gray, and Loco shooting music video. Please stay tuned on collaboration work from our artists." You check out the photos below until further information is released! Meanwhile, GRAY is gearing up to release a special work with Hyorin which is set to release on April 23. LOCO has also been keeping himself busy through various variety programs such as 'It's Dangerous Beyond the Blankets' and 'Hyenas on the Keyboard', where he is currently working with MAMAMOO's Hwa Sa. [AOMG] Jay Park X SimonDominic X GRAY X LOCO - ?? ?, ??? ?? ?, ?? ?, ??? ? ??? ?? ????? ?? ????. ??? ??? ?? ? ????? ?? ??? ?? ?? ??????. Here we got Jay Park, Simon Dominic, Gray, and Loco shooting music video. Please stay tuned on collaboration work from our artists. #JayPark #??? #SimonDominic #?? #GRAY #??? #LOCO #?? #AOMG #???? ?